Life as a homeless dog is hard enough. Your life consists of rummaging through garbage for food, trying not to get hit by a car, and searching for someone to save you. Now imagine you were homeless but your fur was so matted, you could barely walk. That was life for a whole month for Freight – a beautiful collie roaming around a Chicago railroad yard. 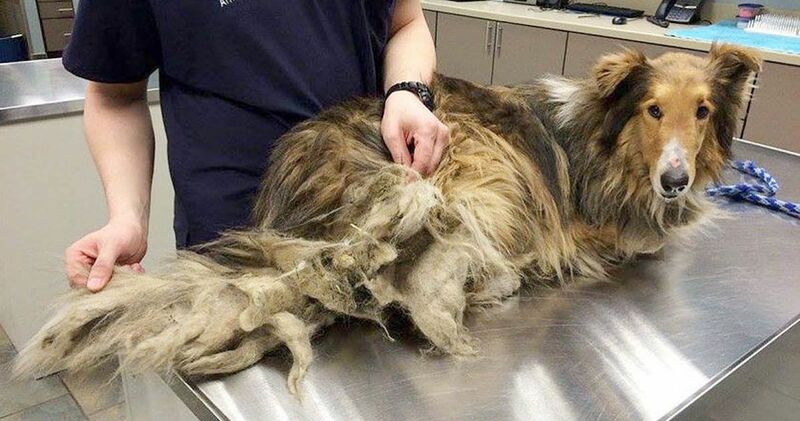 Freight’s fur was so matted he couldn’t even move his back legs. He was so scared he avoided all efforts to catch him. We could not tell the gender of Freight due to his matted fur. Freight then received a warm, medicated bath and was taken to the vet where he was diagnosed with heartworms and internal parasites. Now Freight will receive all the love and attention he so desperately deserves!